The 2K17 Generation Next Invitational tipped Saturday with a nice blend of teams in the mix to work towards bringing home a tournament championship on Sunday. 4th-8th Graders competed, and the talent in the gym was solid with players like Amar Augillard (Kessel), Tanner Resch (RAS), and Michael Foster (Rebels/Spartans) – who opened a whole lot of eye this weekend – getting their legs and bodies warmed up for the coming Spring season. Catch the top performers, those who really raised their looks, and the young players to keep an eye on moving forward in Day One’s recap below. Augillard was an absolute force to be reckoned with for opponents of Kessel on Saturday. With solid size and frame, the 6’3 prospect moved well up and down the floor, and offensively really got in a rhythm throughout the day. He played particularly well in their earlier game where he scored at the hoop often but was even more impressive with his ability to knock down perimeter shots, making three triples en route to a 19-point performance. Berkeley showed off some well-rounded talent playing the point but also proving he could play off the ball well and put himself at an advantage. The guard hailing from Madison, scored off the bounce with good body control through contact, and he also knocked down some nice jumpers, including a pair of three’s a tough game later for NESYB. In two of their games Berkeley averaged 14.5 points and shared the ball effectively as well. Elias was outstanding in MUA’s later game as he really got it going from the field. He was flying up the court when they got steals or rebounds and did good work converting those opportunities. With some speed up the court and quickness in his stop and cutting, Elias gives himself room to operate and then finished well. He finished the later game with 20 points with 1 three-pointer made. Foster burst into the scene this weekend in a big way, and when you say big, the kid is 6’7 and now moving around the court with control, coordination, and confidence. He used his length defensively to alter shots, went up and after rebounds and then was stellar overall offensively scoring 10 points, 20 points and another 10 points in three contests. For good measure he had a couple major punch outs with a tomahawk style slam and a two-handed alley-oop. The Racine native 8th grade small forward put together a good day’s work, scoring 17 points in one game and 11 in another. Johnson drilled a three in each game and was able to work some nice slashing moves to the hoop to finish around the basket. Lot of room to develop other aspects of his game, but the offensive tools are there and he utilized them well Saturday. Rivera was a model of consistency for Paradise as they swept the day Saturday with a couple really nice little wins. Rivera led the way in those games, Rivera averaged nearly 15 points per contest with a high of 17. He played tough in transition, finishing several baskets, and was a part of getting several steals in the team’s press. The 2021 combo guard also sank a three-pointer in each game. Tallen was tremendous much of Day 1, always seeming to come up with a big play at needed times for Peoria. He had a nice move with his back to the basket and then attacking the rim off the drop, he sank a couple little mid-range jumper and otherwise was active all over the glass for rebounds or put-backs, but put in good work for his team with 10-point and 21-point efforts. Fawcett had two really stellar games Saturday for Wheaton South. He played well in both games by mixing in some mid-range scoring with getting buckets in the paint. Fawcett was also active on the offensive rebounds and added in some extra points off put-backs. He put up 14 points and 19 points in two games. Freedman will have to continue developing his outside game as he gets older, but he plays with great control in traffic, and did well Saturday, catching and making moves to the hoop with aggression and balance. The 6’1 post player scored a game-high 14 points in their first game and followed it up with a solid 11-point game in which he also had 7 rebounds. The 5’9” guard played a really good game Saturday evening where he got the ball rolling with his shooting. McIntosh used the dribble to create space for himself to get a couple looks, helped his teammates get open shots, and also was able to finish plays when spotting up. He knocked down a couple big three’s in the game en route to 21 points. Nesbitt was very consistent for the Rebels/Spartans team and complimented their big man with his ability to penetrate the lane off the bounce, finish in transition and also to knock down an open look when needed. Nesbitt made some nice plays taking contact on the drive and finishing through it as well. He had 10 points, 13 points and 23 points in their respective games on Day 1, showing he just kept improving with each outing. Resch is a calculated gunner for a Ray Allen Select crew that got the afternoon off with a rough start, but shored things up big time in games 2 and 3 on the day for big wins. Out of Sussex, Resch drained 4 three’s in the one game and then fired in another trio of triples in another game, good for 16 points and 11 points in those games, respectively. He also is a hassling defender and moves the ball when necessary until he or a teammate can get a clean look. Reynolds showed he’s just a cool customer at the point guard position. A smooth-moving lefty with good length for the position, Reynolds seemed to consistently make the smart play, whereas he scored when he needed to or the defense was lax, he saw the court really well to open up teammates, and got on the glass at times too. He had a high-game of 19 points of which he was great attacking the hoop, but also showed his shooting touch with 2 three’s. Watson did a few nice things for his team both with his hustle and his shooting ability in a couple of PGE’s games Saturday. In their first game, he hit a couple really big three’s to help his team come away with a victory. In their next game he drilled 3 more three’s with straight confidence. He finished with 11 points and 9 points in those games. The Tar Heels had a couple tough games, but they competed really hard and a major piece to those efforts was the play of Weaver who never stopped attacking and kept shooting with confidence. He buried three point shots (4), made his bunnies regularly and hit some other short shots, scoring 18 points one game and 11 in another. The young wing was incredible scoring the basketball for his team. Brown sizzled early with 28 points, and then nearly eclipsed that number in the first half o their next game, scoring 26 and finishing that contest with 39 points, including having hit a three-pointer. Starting to carve his path, Fletcher opened the day with a really solid game, making plays to the hoop and finishing in transition, and also sinking a three-point basket, finishing their first game with 14 points. 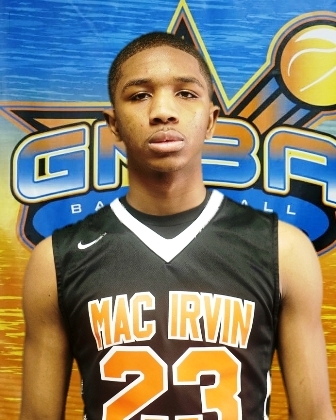 Though at the 7th Grade level, the future is bright for Mackey as he has a three-ball that doesn’t stop. With good efficiency for his age, Mackey knocked down 3 treys with and had 11 points. Also in 7th, Sukel battled it out against Mackey on Saturday and also had a really nice effort and production. Sukel has some of those old to post moves in him already which helped him around the basket, but he also showed an ability to catch it away from the hoop and still finding the best way to put points on the board. He had 15 points. Thompson was patient in the second game, only scoring 2 points through a half, but got a bit more aggressive in the next to put up 10 points in the game. That followed their earlier game where Thompson was sensational from outside with 5 three’s and converted for 20 points.